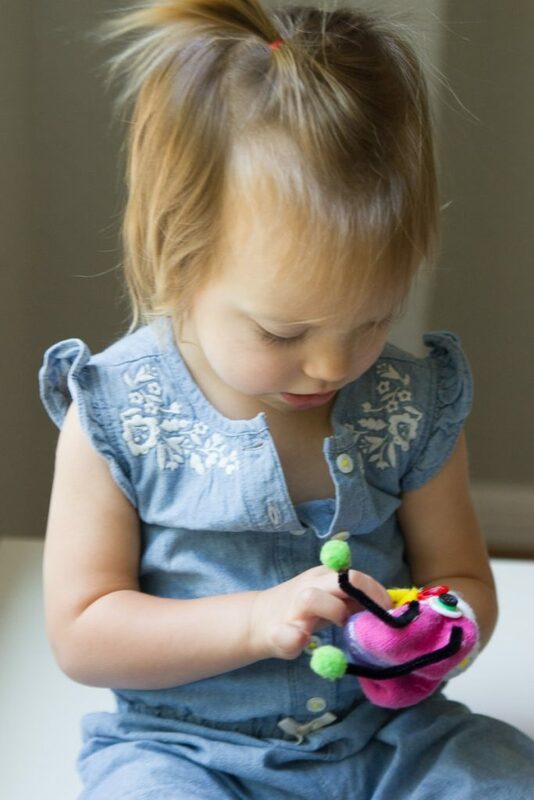 The simplest toys are often the ones with staying power. 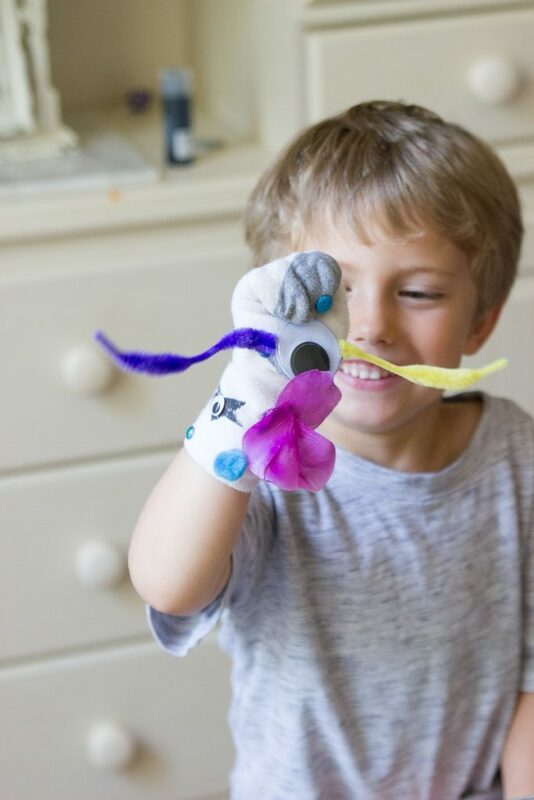 Two years ago we spent a sick day making old school sock puppets, and those silly puppets have been loved toys ever since! 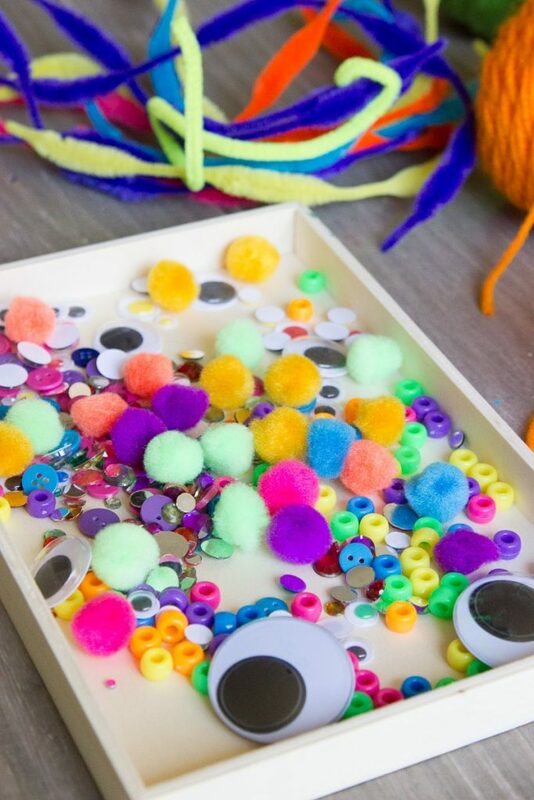 Now that we’ve added another kid to the mix and our two year old sock puppets have seen better days, we got out some craft supplies to make a few new friends. 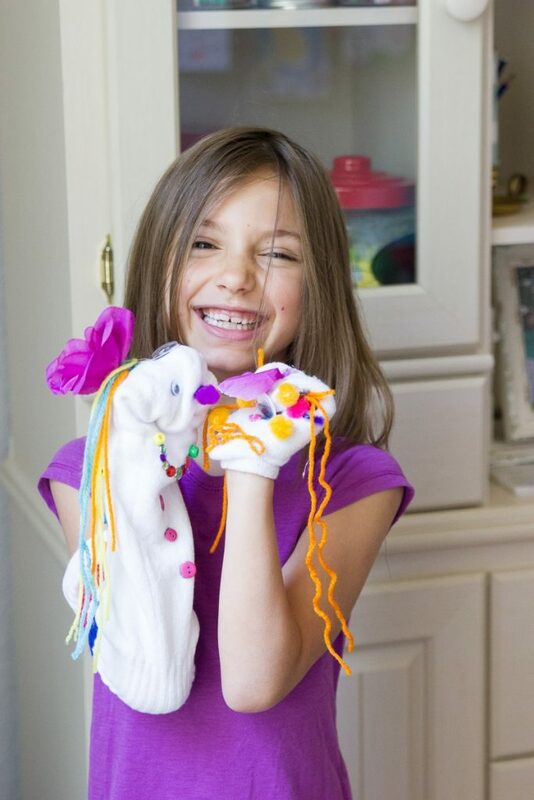 Sock puppets don’t really need an explanation. It’s definitely a case where anything goes! We used lone socks that had lost their match. I love repurposing things to bring them to life again rather than buying new. 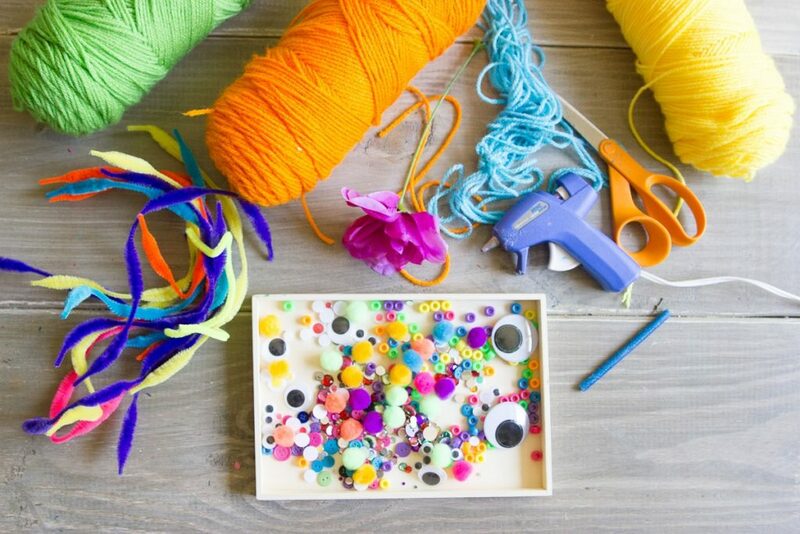 You’ll also need hot glue or tacky glue. 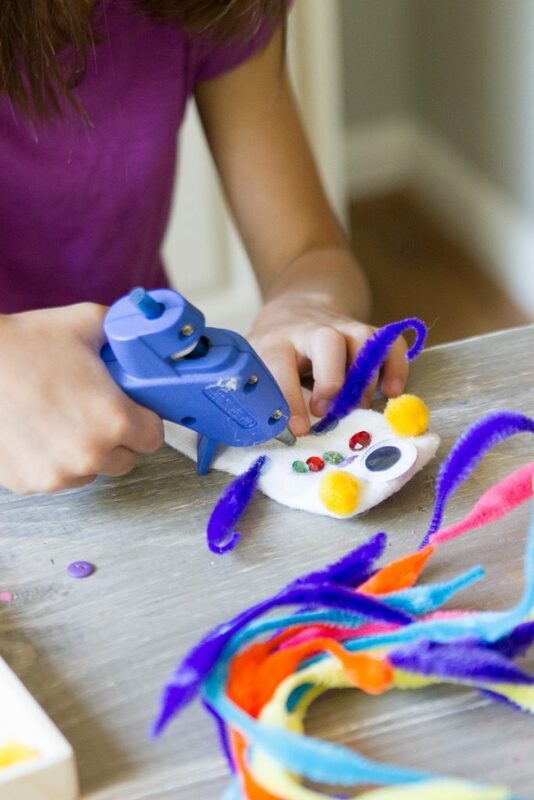 We use a mini hot glue gun and my 6 year old does great with it. 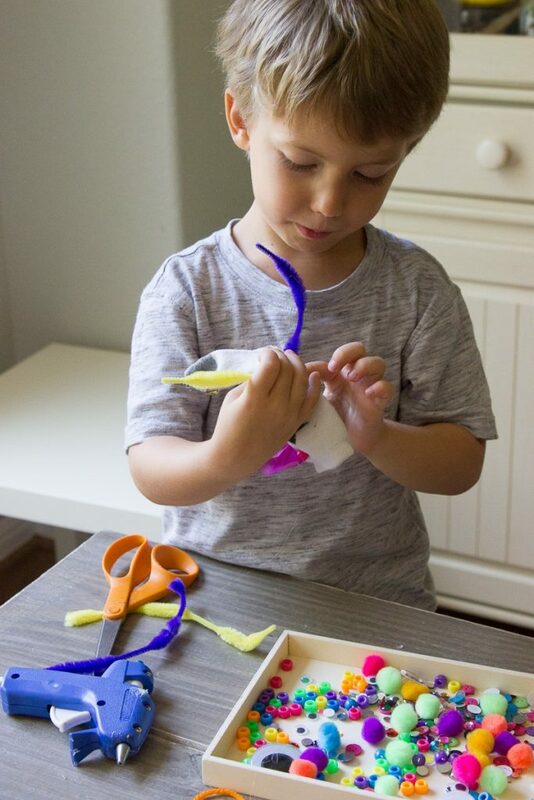 My 4 year old can use it under very close supervision, but he’s learned quickly that it can hurt so prefers to let me do the glue while he sticks on the accessories. 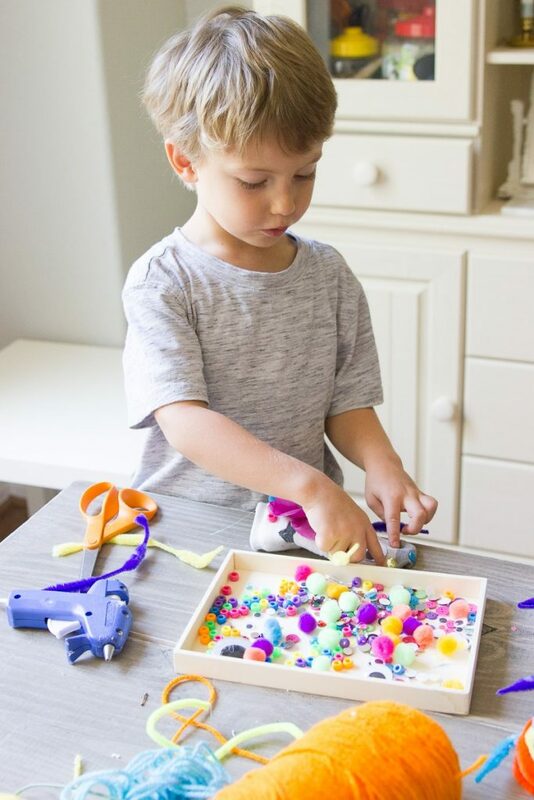 I gather all of the materials and set everything up before I let my kids know what we’re doing. Part of the fun is the element of surprise. 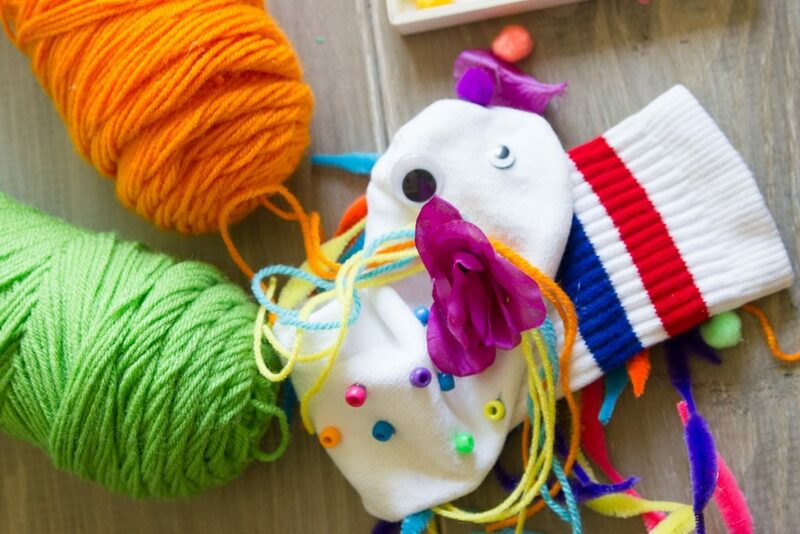 I made a sock puppet along with my kids, but whenever we are doing any kind of process art or open ended activity, I make sure to let them lead the way. 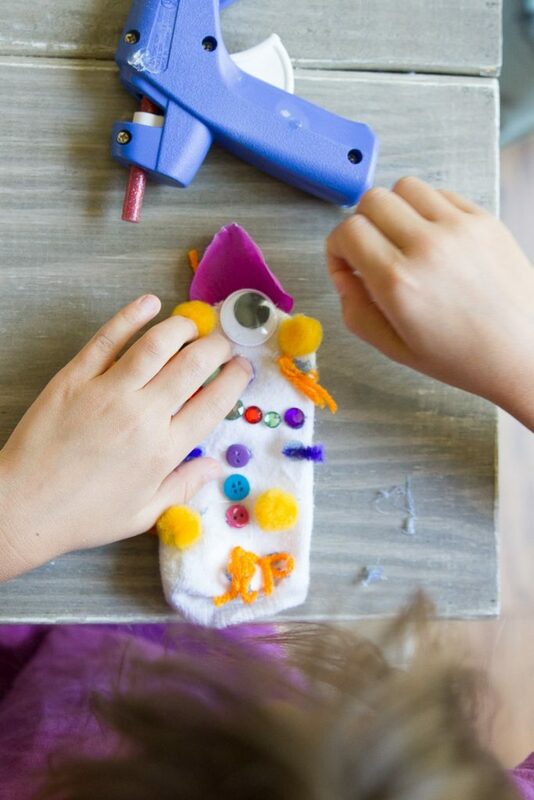 If I put eyes on my puppet where you would expect to see eyes, they are more inclined to follow along with what I’m doing to do it the “right” way. 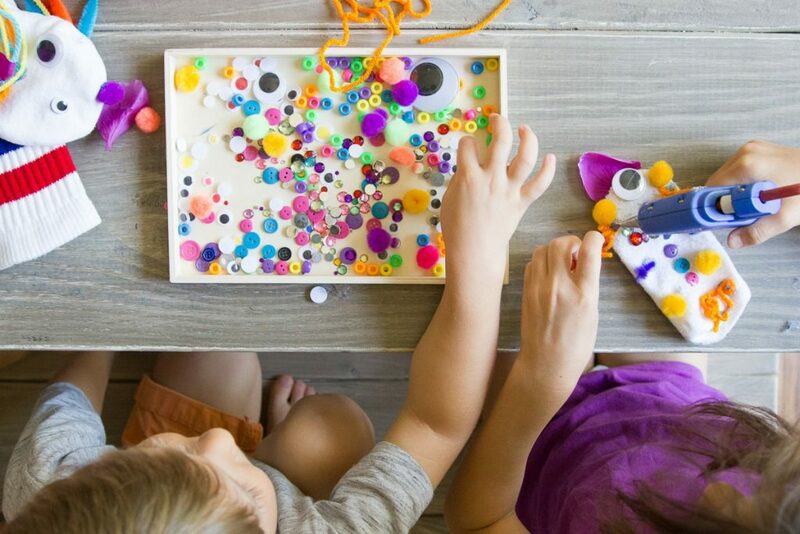 But without outlining a clear path to a finished product, they have free reign to let their imaginations go wild. I let them make the first move and follow along with their ideas. Our puppets did end up with eyes and hair and arms and teeth, but not all where you would expect. It was great fun bringing these puppets to life! 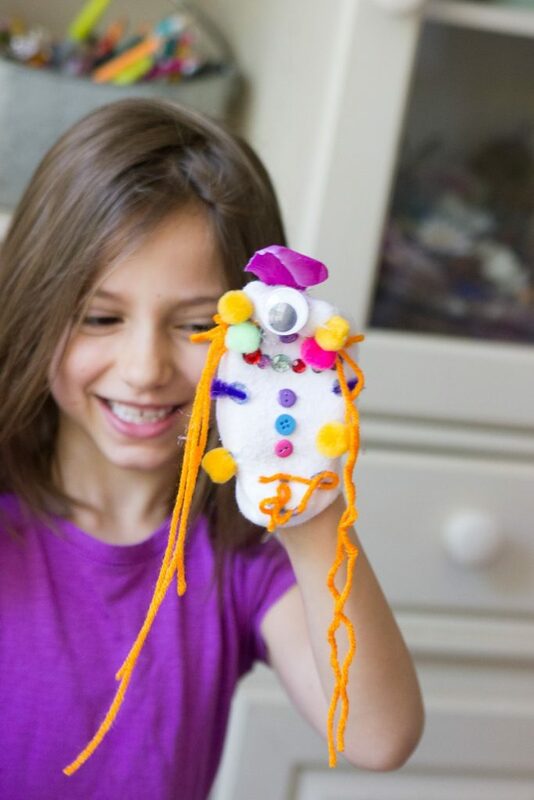 My 6 year old’s puppet Charlotte is as sweet as can be with her one eye, rhinestone chompers, and snowman buttons. 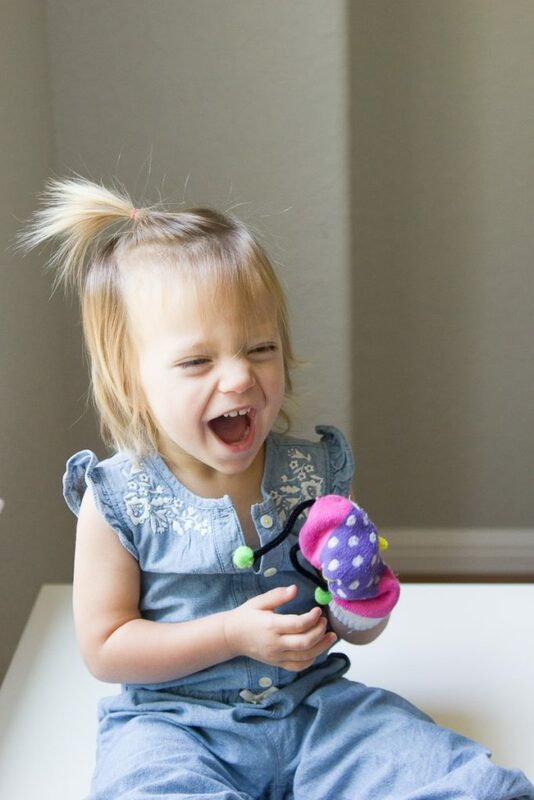 Charlotte and my puppet Violet were instant besties. My 4 year old named his puppet Toy-ee. And the baby recycled an old puppet named Holly. She had a blast with the puppet on her hand. I’m pretty sure we’ll be having some great puppet shows with these new puppet friends. 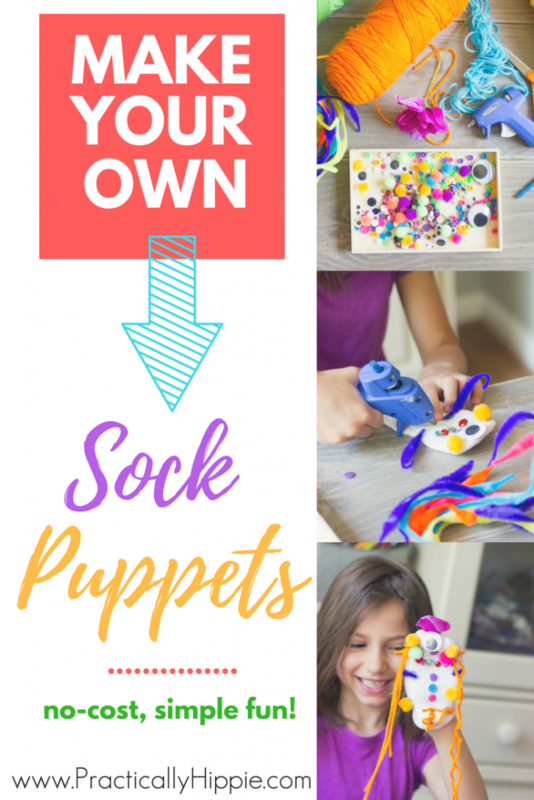 The next time you’re looking for a simple activity to pass the time indoors, give these old school sock puppets a try!